Heck, I'm probably wrong though...my eyes aren't what they used to be if I am I do apologize. I think I see what you mean.....I will fix it.. OK....I fixed the pictures in the post and on the site. Took me a little bit but finally figured out when you were talking about (good catch). We mixed pictures of the Z06 version with the base model splitter. Thanks for pointing this out, could of really caused a problem if someone ordered one thing and got the other based on our pics..
You offered me help not too long ago when I needed it most. I will always remember your concern and kindness. Cf members Jim is one of many good vendors here. Thanks for the nice comments...not sure what I did specifically, but I most of done something right for you to take the time to mention it here. Is the ZR1 rear spoiler in stock? Are you guys coming to Carlisle ? We won't, but I will send you a PM to suggest a good company that will be there. 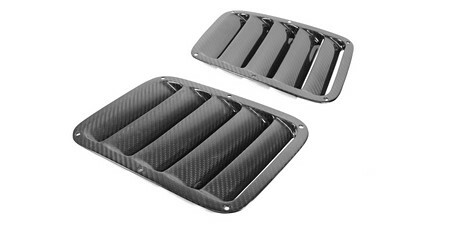 Do you happen to have the dimensions and pricing on the two types of hood vents apr offers? Do you mind sending me links? I'll make sure we are on the same page and I'll let you know right away. 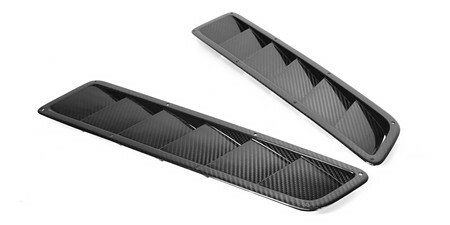 so does the version I front splitter require a reinforcement or not? No, the splitter brace is not necessary for regular speed applications. As you can see in the above pics though they will have the undercarriage support built in. does the free shipping promo extend to Canada? are you saying I can take this splitter to the race track,as is? Yes, the version 1 splitter (pictured above) does include the undercarriage support, so it's appropriate for track use. $1390 w/coupon code SCP50 at checkout.